Weather hedging may seem unnecessary – until it isn’t. One month you have record low temperatures followed by another month with record high temperatures. The point is, weather is too unpredictable and can negatively affect the success of your company. While we may not be able to predict the weather, there are certainly ways to better protect yourself and your company from unpredictable swings. There are ways to combat a warm season: increase customer margins, eliminate expenses, etc. But what if it’s 10%, 15% or even 20% warmer than average? Those tactics may not be enough to cover your fixed operating costs, recover from the loss and keep your financing partners content. We help you be proactive to better insulate your company from unpredictable heating seasons. Weather hedges can be tailored to replace your company’s lost profitability as a result of lower gallon and equipment service sales. 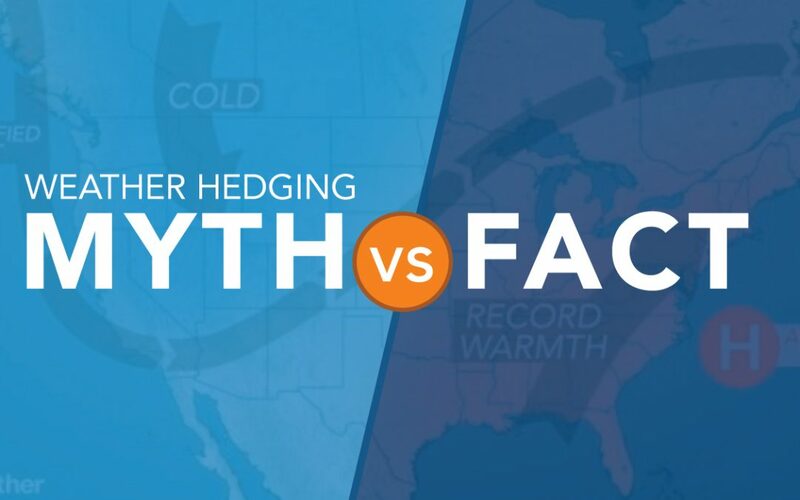 Setting up a weather hedge is easy, with the proper guidance. Our hedging advisors work with you to determine how much coverage you may need and when you need it. If you have any questions during the process, your advisor will be by your side, every step of the way. Don’t let these common misconceptions keep you from doing what’s best for your company – and protecting your profits. And remember, Weather Hedging is easy! Angus Partners, LLC d/b/a Angus Energy is a member of the National Futures Association and a registered Commodity Trading Advisor. Disclaimer: PAST RESULTS ARE NOT NECESSARILY INDICATIVE OF FUTURE RESULTS. The risk of loss in trading commodity interests can be substantial. You should therefore carefully consider whether such trading is suitable for you in light of your financial condition. In considering whether to trade or to authorize someone else to trade for you, you should be aware that you could lose all or substantially all of your investment and may be liable for amounts well above your initial investment. We did this many years ago. I am interested in discussing this some more for DEC – FEB or MAR.